Instagram is a big deal. If you hadn't already realised. It's a great way to get your blog or business out there to a lot of different audiences. But you could be posting a lot of content that you think is good, but it may not actually be visually appealing in a way that makes people want to follow you. No matter how good your photos may be, they're not doing that much if no one is seeing them. That's where having an instagram theme comes in. 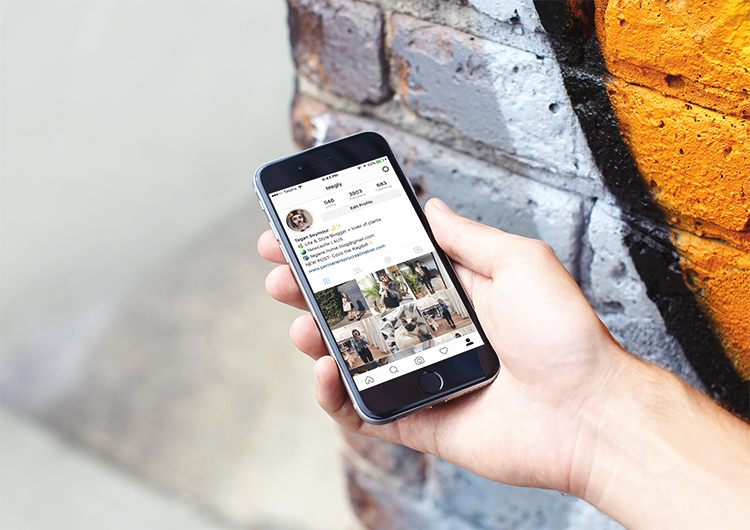 An instagram theme is a great way to give your overall feed a more uniform look. When people look at your Instagram profile from the main page, they're seeing your most recent photos in one lumped collage. 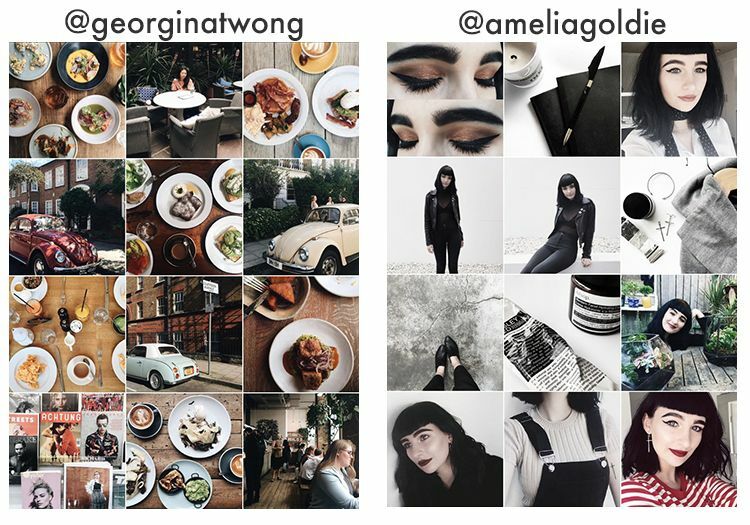 If they look all out of place next to each other, the first impression your instagram feed is going to give is that your posts are all over the place, unplanned and spontaneous. While that's fine for a personal feed, it looks pretty unprofessional on the instagram for a business. It gives the vibe that it's not very well thought out and that you're letting any old person post whatever they want. 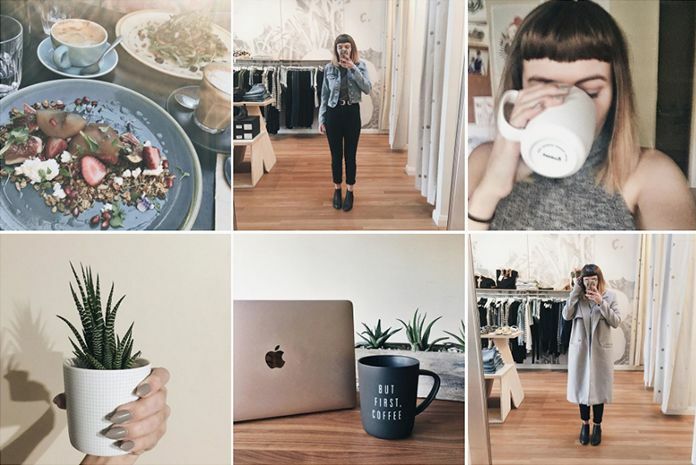 Should you have a separate instagram just for your blog? Maybe. Do you want to post random stuff all the time or do you have the self control to only post photos that fit in with your aesthetic? I had already put a lot of effort into my instagram that it killed me to start over just for the sake of blogging. My blog includes a lot of personal stuff anyway so I didn't feel like they needed to be separate. As everything I post is usually relevant to my blogging style. 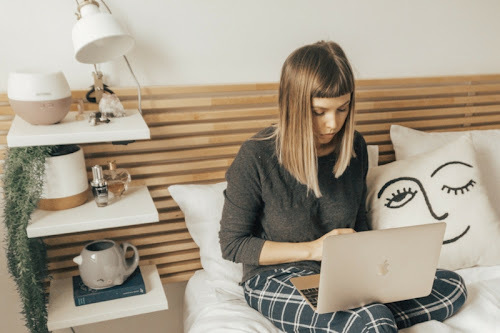 Starting fresh can be a bit scary, but if your personal instagram is a bit overwhelmed with random photos, then it might be a good way to go. I don't focus on this as much as I do with the overall colour scheme. While I generally post photos of myself, my outfits, my kittycat Coco and cute accessories/decor, I don't feel limited to that. It's just what I find photographing most of the time. If I did have a pretty landscape post I wouldn't hesitate to post it. As long as the colours meshed well alongside the other posts. Are all your photos of food? Of clothes? Of your face? Try to stick to posting images with similar subjects. If something is strange, people are more likely to go, hang on why did I follow this account? And then unfollow you. Which is another reason why having two accounts can come in handy. My favourite editing apps are Afterlight and VSCO Cam. I use Afterlight to brighten my photo and make sure all the colours and contrasts are as nice as possible, and that my subject stands out well. Then I open the picture in VSCO and play with filters and colours. 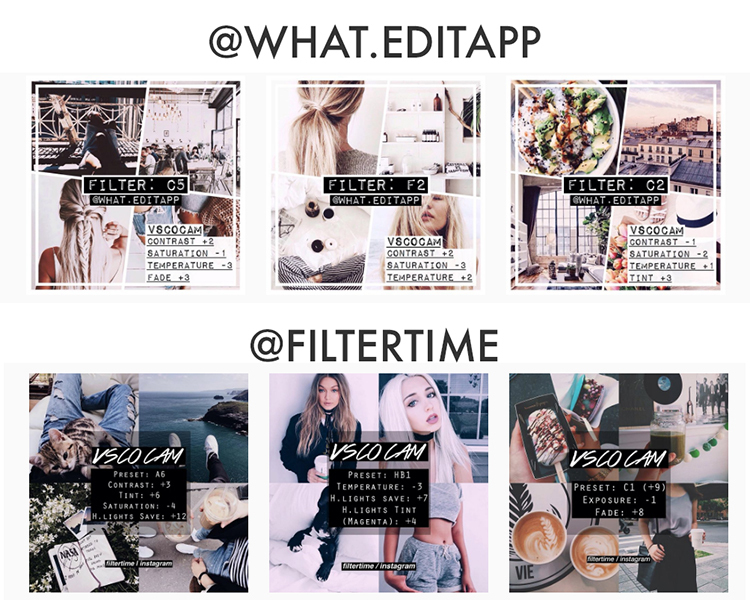 Here is how I went about finding the perfect filter & theme to use for my instagram. Go through and screenshot a bunch of filter combos that you think you might like your instagram to resemble. Narrow it down to maybe 5 favourites. These are the ones you are going to trial. A nifty thing about VSCO is that you can copy all edits on one image and transfer them onto other images. 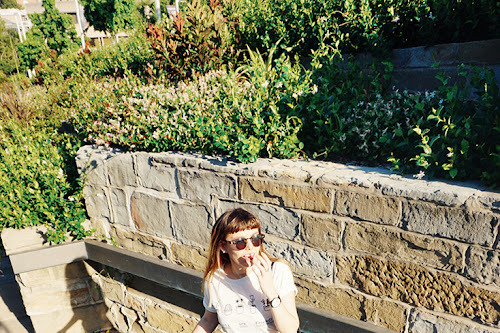 Bring about three of your most common kind of instagram photo into VSCO. You may want to open a few of the same photo so that you have multiples, to compare what filters will look like. Pick a photo and start following the list of edits on a filter that you would like to try. Once you've applied all steps take a good look. Does this filter work with your image? If it does, great! Now choose copy edits and paste them on top of your other regular instagram photos. Does it look good on them too? You want a filter that works well across a whole range of images. Keep going until you find a filter style that works well across the majority of your photos. The best thing to do is find a few filters that work really well and then pick your favourite. I narrowed it down to two similar filters before I picked the one I use today! Good Examples of Instagrams with Great Themes! 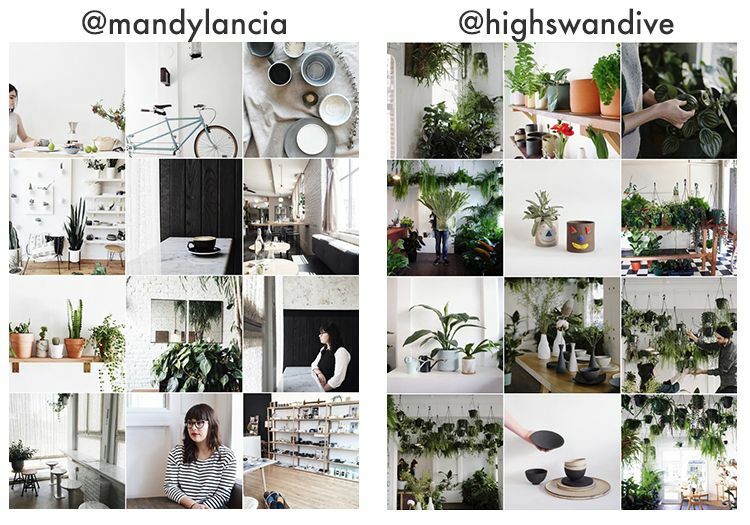 These instagram accounts give a good example of how to theme your instagram correctly, with both similar imagery and colour schemes. Stay Strong & Be Picky! Try to avoid posting things that don't fit or don't match the colour scheme. If you have to post it, either delete it later or pop it onto a different instagram that doesn't have a theme. You can still have a beautiful and popular instagram without having a cohesive colour scheme. It's not necessary, but instagram is a difficult social media platform to break out in. So if you are starting out and want to have a pretty looking feed, colour theming is a good way to start! I really don't find that there's any photos that I don't post. Like blurry night selfies with friends. That's probably all and I can put them on facebook lol. Love this. I'm not the biggest fan of themes but would like to have my feed a little more cohesive. An app I recently discovered and started to love is "Mosaico". It's perfect for planning what you post! I've been wanting to step up my instagram game for a while now and this post already helped me! I followed the two instagram accounts that post filters and hopefully I'll find a few that I like. 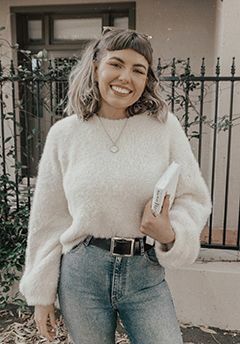 Could you do a 'How I Edit My Instagram Pictures' in the future? I would love to see your process!